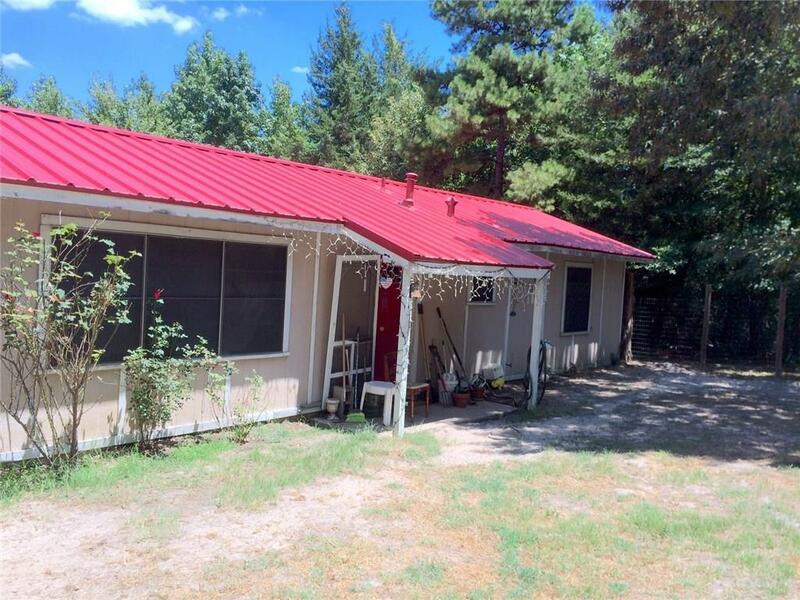 Super Cute 2 bedroom 2 bath home on 3.47 Gorgeous acres of Sandy Loam covered with large, established trees & some Beautiful rose bushes in front of the home!! TONS of character, charm & Potential!! Wood burning fireplace & craftsman style ceiling beams grace the open living kitchen areas! Fenced in front for the puppies, enjoy the back porch & watch the deer meander by! Very nice storage building stays with the property. Has well water & community water! 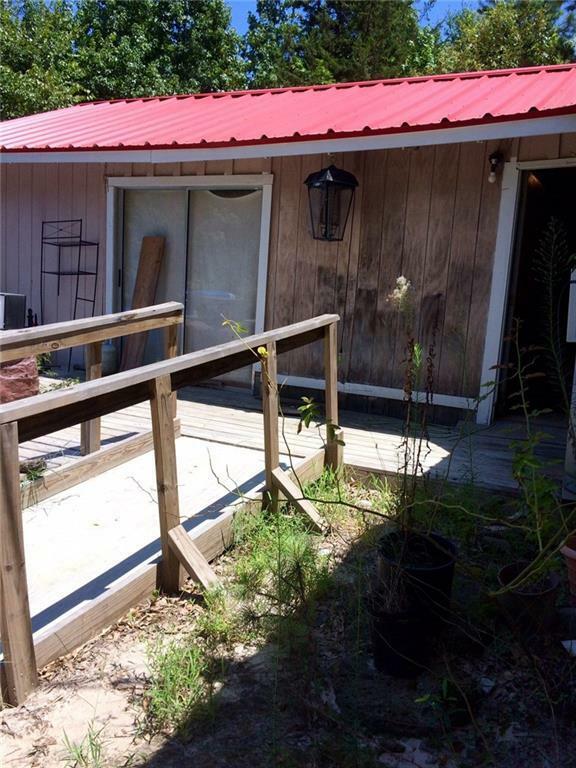 Home does need repairs & is being sold AS IS so bring your handy man skills. The sellers have a lot of wood purchased that will stay with the home for the repairs. Is occupied & Live-able! Make your appointment to view this homestead today! 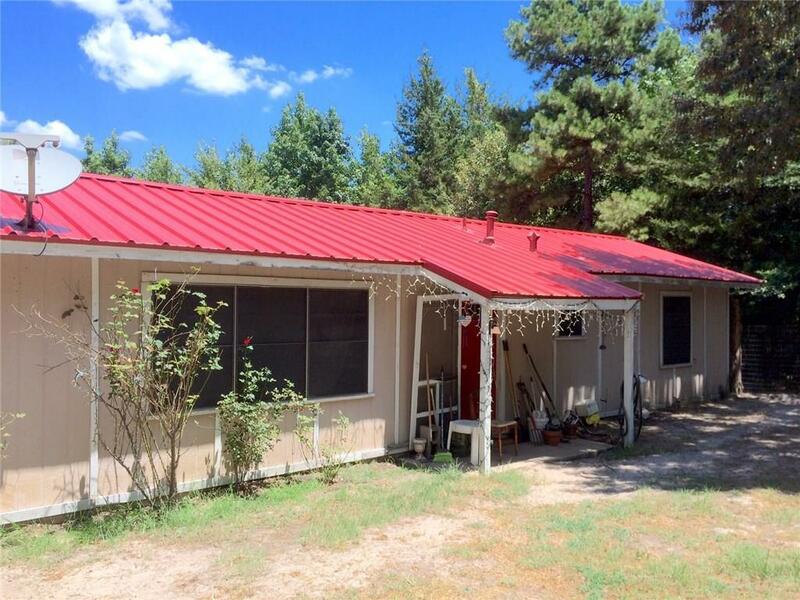 Offered by Jana Dodd of Century 21 First Group.